Weakness in the neck can be caused by muscular or neurological concerns within the cervical spine or the greater neck anatomy. Experiencing a weak neck is a common consequence of injury to any of the tissues in the region, but may also be a result of a compressive neuropathy process or a disease-related causation. Weakness can be experienced in 2 distinct forms: subjective versions and objective versions. It may be virtually impossible for the patient to determine which type of weakness is affecting them, but evaluation by a neurologist can ascertain the true nature of the actual or perceived strength deficiency. 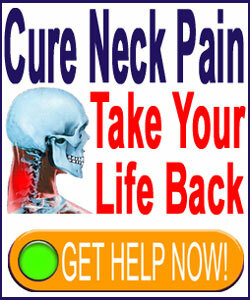 This article focuses on weak neck conditions. We will investigate the potential causes of neck weakness, as well as detail some guidance for patients who experience this frightening symptomology. Subjective weakness is the most common type of cervical spinal symptomology involving a perceived strength deficiency. In these patients, the functional incapacity is only a feeling and is not actually based on diminished ability. In essence, the symptom is a perception of weakness, rather than an actual demonstration of it. Objective weakness describes a symptom wherein the patient actually demonstrates a diminished ability to perform normal degrees of physical activity with the neck muscles. Objective weakness can be diagnosed by a neurologist and can be verified with various types of testing procedures. Regardless of whether the symptom is subjective or objective, it can be equally limiting. However, the type of weakness expressed may help to diagnose the underlying cause, so it is crucial that thorough clinical evaluation be performed prior to moving the patient into the treatment phase. Muscular or ligamentous injury is certainly the most common causation for weakness, by far. Acute traumas to the neck muscles, ligaments or tendons can create pain and strength deficiencies immediately. Pain will usually resolve prior to the improvement of the weakness. Minor muscle strain should improve within 24 to 48 hours, with some degrees of weakness enduring for another 24 to 48 hours. Significant muscular tears and sprains might take a few days to a week for the pain to improve and a couple of weeks more for full strength and flexibility to return. Neurological compression, such as that enacted by central spinal stenosis or foraminal stenosis might produce weakness in certain areas of the body, including the neck. Central stenosis might express itself locally, with weakness present in the immediate area of the stenotic change, yet will also almost always involve wide-ranging symptoms anywhere below the narrowed vertebral canal levels, as well. Foraminal stenosis resulting in a compressive neuropathy might produce unilateral pain and tingling, followed by eventual numbness and objective weakness in the areas of the anatomy that are innervated by the compressed neurological tissue. Pinched nerves at C2, C3, C4 and C5 can all influence the functionality of the neck and contribute to weakness. Some neuromuscular disease processes and infections can cause weakness in the cervical spinal region and in many other areas of the body. These circumstances should be evaluated by a qualified physician and treated on a case-by-case basis. Minor muscular injuries should resolve without any treatment necessary. To provide symptomatic relief at home, ice and heat work very well, as does massage and OTC pain medications. More significant injury that results in weakness might take more time to improve. It is not uncommon for the worst instances of muscular injury to require several weeks to heal and fully regain lost strength and flexibility. Injuries that worsen, or injuries that do not resolve with adequate time, should be directed to a physician or physical therapist for evaluation. Spinal and foraminal stenosis scenarios are more complicated. Some transient stenosis conditions, such as those enacted by herniated discs or ligamentous hypertrophy, might improve with the passage of time. Other types of canal or foraminal opening narrowing may require professional and even invasive care. For best results, be sure to seek professional medical opinions from several different types of doctors before pursuing any particular therapy plan. It should be noted that chronic weakness can also result from mindbody causation, such as tension myositis syndrome. It is rare for weakness to be the exclusive symptom expressed, but it is certainly possible. Far more likely, the weak neck condition will also involve a larger symptomology, including regional pain, tingling and functional disability. Be sure to consider the possibility of a psychogenic origin if weakness does not respond to seemingly indicated medical therapies, regardless of the diagnosis suspected.